Low investment cost using ion-exchange or low operation cost with membrane systems…John-Young reviews customers＇ needs and offers the appropriate system. 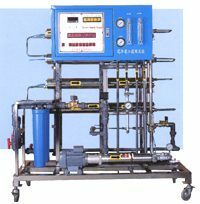 Typical ultra-pure water systems comprise a pre-treatment to remove particulates, hardness and chlorine from incoming water. Removal of ions can be accomplished by ion-exchange or RO membranes. Water can be further purified by polisher or EDI membranes to consistently achieve resistivity greater than 17 mega ohms. 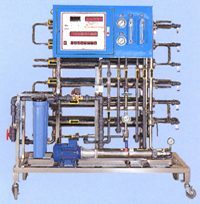 Incorporated into the systems are bacteria sterilizer, TOC removal, and inert gas tank.